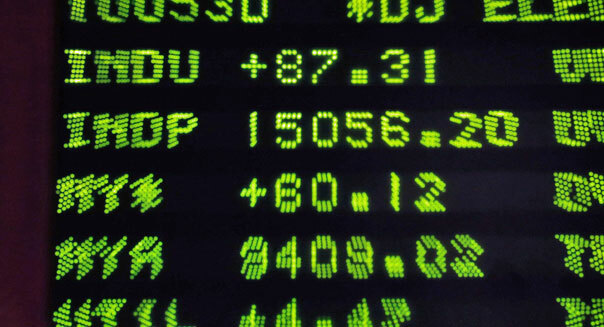 The Dow Jones industrial average has posted gains every Tuesday for the past 20 weeks. That makes it the longest winning streak for any day of the week since 1900, according to Ryan Detrick, chief technical analyst at Schaeffer's Investment Research. The previous record was 13 (a three-way tie between Monday, Wednesday and Friday). The bulk of the Dow's (^DJI) gains this year were reached on Tuesdays. Detrick said the index has added a total of 1,518 points during the 21 Tuesdays that the market was open in 2013. While it could be a fluke, the run begs the question: Why Tuesday? Here are some of the leading theories making the rounds on Wall Street, courtesy of David Lutz, head ETF trader at Stifel Nicolaus. It's random. There may be no explanation. Tuesday is just a day, like any other. That said, the trend has been remarkably consistent over a long period of time. POMO. The Permanent Open Market Operation, or POMO, is the official name for the Federal Reserve's bond-buying program. Tuesdays and Fridays have been among the largest purchase days of the week, and there tends to be an upward bias in the stock market on days when the Fed is buying bonds. Mutual funds. Investors have poured billions of dollars into stock-based mutual funds this year, with an average of $3 billion coming into the market each week. Many mutual fund investors, who typically don't trade for a living, place orders to buy or sell stocks over the weekend. But the orders need to be cleared and the funds usually aren't put to work until late Monday or early Tuesday. Algos. Automated trading programs, or algorithms, make up an increasingly large portion of all stock trading. The longer the Tuesday trend is in place, the more likely it is that these computer automated trading systems will be programmed to buy on that day, making it self sustaining. No one likes Monday. Another theory is that the Tuesday gains are merely a reversal of Monday losses. The Dow has ended in the red for 12 out of the 18 Mondays that the market was open this year, said Detrick. In what has become known as "turnaround Tuesday," investors who have been sitting on the sidelines use the pullback buy stocks at a discount. "Monday is hands down the weakest day of the week so far this year," said Detrick. "Tuesday has lived up to its 'turnaround Tuesday' nickname and been just as strong on the upside." Warren Buffett is a great investor, but what makes him rich is that he's been a great investor for two thirds of a century. Of his current $60 billion net worth, $59.7 billion was added after his 50th birthday, and $57 billion came after his 60th. If Buffett started saving in his 30s and retired in his 60s, you would have never heard of him. His secret is time. Most people don't start saving in meaningful amounts until a decade or two before retirement, which severely limits the power of compounding. That's unfortunate, and there's no way to fix it retroactively. It's a good reminder of how important it is to teach young people to start saving as soon as possible. Future market returns will equal the dividend yield + earnings growth +/- change in the earnings multiple (valuations). That's really all there is to it. The dividend yield we know: It's currently 2%. A reasonable guess of future earnings growth is 5% a year. What about the change in earnings multiples? That's totally unknowable. Earnings multiples reflect people's feelings about the future. And there's just no way to know what people are going to think about the future in the future. How could you? If someone said, "I think most people will be in a 10% better mood in the year 2023," we'd call them delusional. When someone does the same thing by projecting 10-year market returns, we call them analysts. Someone who bought a low-cost S&P 500 index fund in 2003 earned a 97% return by the end of 2012. That's great! And they didn't need to know a thing about portfolio management, technical analysis, or suffer through a single segment of "The Lighting Round." Meanwhile, the average equity market neutral fancy-pants hedge fund lost 4.7% of its value over the same period, according to data from Dow Jones Credit Suisse Hedge Fund Indices. The average long-short equity hedge fund produced a 96% total return -- still short of an index fund. Investing is not like a computer: Simple and basic can be more powerful than complex and cutting-edge. And it's not like golf: The spectators have a pretty good chance of humbling the pros. Most investors understand that stocks produce superior long-term returns, but at the cost of higher volatility. Yet every time -- every single time -- there's even a hint of volatility, the same cry is heard from the investing public: "What is going on?!" Nine times out of ten, the correct answer is the same: Nothing is going on. This is just what stocks do. Since 1900 the S&P 500 (^GSPC) has returned about 6% per year, but the average difference between any year's highest close and lowest close is 23%. Remember this the next time someone tries to explain why the market is up or down by a few percentage points. They are basically trying to explain why summer came after spring. Someone once asked J.P. Morgan what the market will do. "It will fluctuate," he allegedly said. Truer words have never been spoken. The vast majority of financial products are sold by people whose only interest in your wealth is the amount of fees they can sucker you out of. You need no experience, credentials, or even common sense to be a financial pundit. Sadly, the louder and more bombastic a pundit is, the more attention he'll receive, even though it makes him more likely to be wrong. This is perhaps the most important theory in finance. Until it is understood you stand a high chance of being bamboozled and misled at every corner. "Everything else is cream cheese."